When I saw this post I hadn’t seen the film yet but having enjoyed the first Jackson trilogy “The Lord of the Rings,” the Hobbit was next in my list to watch. Waiting for a few weeks for the first wave of the feverish fans to cue for the film I went to see it. In 2D because this 3D experience hurts my eyes. So here I was going to see a film inspired from a book written for a nine year-old boy, a book I read when I was twelve and Mr. Peter Jackson translated it into moving pictures; I have my reasons for using the word translated. And I did watch exactly what I came to watch. For nearly three hours total action that would make any thirteen year-olds’ hair rise and give them enough thrill to last for days. Actually there is so much action in this film that I didn’t understand how these three hours gone. And the characters where magnificent travelling you to imagery worlds once upon a time you thought they were true. And the animation, the work left me speechless and think that I am an old dinosaur who still enjoys long monologues, real acting and theatre but his was unbelievable. The details in the animated characters were absolutely realistic. And the scenes in computerized worlds breathe taking. One thing I should not forget to mention is that for the four till now films of the Tolkien saga Jackson should be awarded from the New Zealand’s tourist organization as the best ever advertiser. I was definitely convinced that I have to visit this country. Every single scenery looked magic. The mountains, the valleys, the canyons, everything was inviting you to visit them soon. But before going to the end of the film and my partner’s comment let’s get back to the Facebook post and the translation issues. Back in late eighties invited from a literature magazine I participated in a forum about translation. I was invited with a double identity, having made some translations myself and having seen some work of mine translated. The conversation dint stop in the amphitheatre but continued till the early morning hours and they were all very interesting and occasionally heated. The participants included translators, writers, publishers and journalists from all around the world so you can imagine the tense in the conversations. To make the story short after three days the result was that the translator actually writes a new book inspired from the original. I’m going to use exactly the same example I used back then with a translation. The Greek Nobel prize winner G. Seferis translated in Greek the classic “Murder in the cathedral” of his close friend and mentor T. S. Eliot, only in Greek he called it “Φονικό στην εκκλησιά” – murder in the church – which according to the semantics of the time – he translated it on 1963 – and the semantics of the language – new Greek and ancient Greek – before we get to the actual play from the title the whole thing took a different way, probably far from the intentions of the actual writer, T. S. Eliot. “Murder in the cathedral” talks about conspiracies, politics, loath and greed. It is already in the title all that. The Cathedral gives the semantics of the place and a murder in the cathedral carries something medieval, pompous, and heavy. From the other side the world “foniko” Seferis used it does mean murder in Greek but adding the above semantics it means murder out of passion. And of course in Greece when you talk about ‘church’ the way Seferis tones it – tones are important in Greek language – and all the semantics it gives the picture of a small white church you see so often in touristic photographs from Greek islands. So from the title already it was not the same thing. Every time I see a film I have read the book before is not the same thing. So what you see is the translation of the book into moving pictures. Is something that has evoluted and perhaps changed due to the semantics of the time and the tool in this case. That doesn’t mean that the translation is not brilliant, perhaps as brilliant the original. Seferis translation of the “Murder in the cathedral” is fantastic and reading the play you get the same feelings T. S. Eliot gives you. E. M. Foster’s “A Room with a View” translation as moving pictures from James Ivory is brilliant and Karen von Blixen-Finecke’s “Out of Africa” translation from Sydney Pollack fantastic. 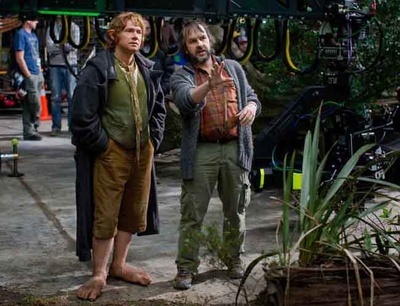 And that’s exactly what happened with J. R. R. Tolkien’s “The Hobbit.” Peter Jackson translated a book for a nine year-old into moving pictures, occasionally experimenting or improvising definitely using technology to its limits and always according to the cinematic semantics of the 21st century. I thought Jackson’s work shows great respect to the book and the semantics of the time and the technology – the language of the moving pictures. When Jackson announced more than a decade before that he was planning to translate The Lord of the Rings into moving pictures I was one of the first who reacted with doubt. But having seen the first trilogy and the first part of the Hobbit trilogy I think that the man is a brilliant translator aka director of J. R. R. Tolkien’s books. And my suggestions to the ones who found the film ‘appalled,’ is to remember the book, read it if they haven’t and that it was written for a nine year-old while the film is for thirteen to fifteen year-olds. And then just …enjoy it! But while we were watching the ending titles my partner said, “That’s it? It finished?” and she gave me a look of desperation with hints of anger. In my comment that it is a trilogy and we had already been watching three hours, she said “but it stopped in the best point!” I tried to remind her that perhaps she felt the same when the first part of the Lord of the Rings finished but again she …couldn’t remember because ten years after the last film of the trilogy and having seen all of them at least one more time you don’t remember any more how it was when the first part finished and you knew that two more were coming before the conclusion. So in respect to the contemporary semantics I think that Peter Jackson should close a bit the time gap between the three films and not leave a year before the second and then another one for the third. So leave Darth Vader, Captain America and Iron man with James Bond in their own translations and enjoy the poems of the dwarves and the epic adventures of a hobbit, a book written for nine to fifteen year-olds. Hoping that Mr. Jackson has more of the elf poems in the next two films I’m really looking forward for the second part and for the third I will be even happier because my daughter will be in age to watch it with me! Thanos, the idea that a move is a translation is quite interesting. Some insist that a movie is never as good as a book but we all know that there are good translations and bad translations. There are some scholars who even claim that sometime the translation is better than the original but that would take one too far afield. I suppose it all depends on whether or not the translation is close to the spirit of the narrative and the intentions of the original work. Bad translations are those who are too literal and pedantic. A poet knows one immediately when she/he comes across one. I have not seen the movie you describe so there is little I can say about it by way of a critique except to point out that, to the chagrin of your partner perhaps, it will continue to gross billions of dollars. The book itself did not do too bad financially and this success bothers the adults who usually don’t read children’s books. That may be considered a bad criterion for judging the worth of a work of art and in fact it is. But the question persists: why do so many adults go and see children’s movies? I suspect that those adults have a positive child-like view of mythology, they do not consider it mere fables and stories for children, mostly lies having nothing to do with reality, and that may explain why they are able to appreciate a story like Hobbit steeped in myth. An extreme rationalist is constitutionally challenged to accept the fact that myths can be more “true” and tell us more of reality than documented historical facts; that in fact history itself (the narration of human kind’s story) may be a myth in itself. Chances are that those rational types have read all the other fine scholarly books that Tolkien wrote as professor of ancient Nordic languages at Oxford University but still avoid reading his myths and consequently will not like them in translation either. You have definitely put your finger on something and it is the age-old attempt, as old as Plato, to separate the mythos (the imaginative) from logos (the rational), but Plato was too good of a philosopher who believe that it would ever be possible and includes quite a few myths in his philosophy. It is the task of philosophy to keep the two friendly to each other without forcing one to become the handmaiden of the other. Hence Vico calls his philosophy a “poetic philosophy.” Those who don’t appreciate mythology much and consider it an irrational lie will call Vico’s poetic philosophy an oxymoron. It is not. It may be a paradox but not an oxymoron. Yes there are translated books better than the original, I agree with that. Living in Finland I have read most of the Finnish literature I could, not in the original language of the writer but from translations in three languages. Most of the translations vary from bad to really bad. Actually reading Kivi’s work – The Finnish national poet and writer – in English is the most duel and disappointing thing and it takes a lot of effect to appreciate what is there. But then again in 2004 Vaino Linna’s trilogy “under the north star” was translated in English by Richard Impola often applying a Dickensian language in the translation making magnificent work and an example of how books should be translated. Must note here that the translation took him over 20 years! Reading a translation of Balzac in English having already read the original French book – few decades ago - found myself wandering if the translator had really bother to read and mainly understand the original or he just translated world by world with a dictionary next to him. Coming to books “translated” to movie pictures I agree that the failures have been more than the successes but that didn’t stop anybody to make “remakes” and get a good result in the end. Coming now to the “barbarism of the intellect” – now I know that I start something strange – I think that nowadays both words have adopt new semantics. Technology and computer ‘nerds’ are not exactly the definition of the intellect, are they? Still…. And they same time they are not the barbarians either but they serve both cases and sometimes their opinions and their technical expertise have become the mainstream judgment and objectively accepted. So we judge a film on how good the visual/animated effects are and not for example if the film entertained us which in the end is the whole aim of the production. The book was written to entertain and the film is there for exactly the same reason. I concur, Thanos. Unfortunately the word “intellectual” in current semantics has assumed the elitist overtones of the logic and the rational, the opposite of primitive and barbaric, but as Plato and Vico well grasped not everything intellectual and rational is ethical and civilized and it does not necessarily describe the objective truth. Indeed, the ethical monstrosities committed in the 20th century and in some way continuing in the 21st century makes the barbarism of old look a picnic in comparison. The barbarism of the intellect is much more grevious than physical or geographical barbarism. That is something that deterministic progressivism has considerable difficulty in wrapping its mind around, especially when it deludes itself that because something arrives at the end of a process, it is necessarily the best. One would like to think that the reason perhaps is that “enlightened” modernity has a guilty conscience about it. That would be good news, since a guilty conscience implies the potential for a turn around and redemption and hope. On the other hand, to be sick and not even to know precludes even the possibility of hope or a cure. I do so enjoy the Open Brilliance of your writings and conversations. 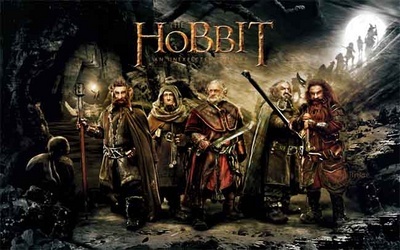 When teaching The Hobbit and the Tolkien Trilogy to Middle School and High school students years ago, I learned to Listen to the Perspectives (Translations) of my students during their various project interpretations (literary, artistic, dramatic and musical) after we had completed the works. perspectives/translations were more interesting, artistic and wonderfully insightful than others, but all of them had been well executed. We all had a terrific Learning Experience with Tolkien's works and their original research/study projects. Thanks for the review of the movie as well. I can't wait to see it. Indeed Leah. Jung has well taught us that to reduce reality to the rational and neglect the dream world and the world of myth is to become clever by half or as Vico would put it a "barbarian of the intellect' or in more modern parlance a cultural philistine only interested in buying and selling and making money.